Lansmont’s most powerful instrument ever, the Lansmont SAVER™ 9X30 captures drops, impacts, vehicle motion and vibration. 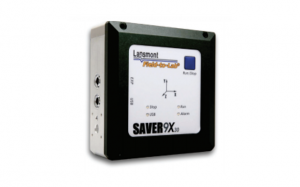 The Lansmont SAVER™ 9X30 can be ordered with internal GPS as an option. This self-powered Field Data Recorder provides “best in class” 16 bit resolution on each of 9 dynamic channels capable of recording for 30 days. It’s the ultimate resource for defining, characterizing, and visualizing transport, distribution, and use environments. This instrument provides up to nine dynamic channels (3 internal and 6 external), while also recording temperature, humidity and atmospheric pressure along with optional GPS input capabilities. The 9X30 can measure unattended and continuously for up to thirty days. An internal clock marks the exact time when each event occurs. Analysis Drop Height, Shock, Vibration, Temperature, Humidity, Pressure, Time & Date. Channels Built-In Tri-axial Accelerometer, Built-In Temperature and Relative Humidity.